Memorial service in community room. Dessert reception following service. Throughout her rich and rewarding life, Jane Thornburg made the most of the days she was given while holding her loved ones near. She worked hard in everything she did, and she expected that others do the same. Jane was deeply devoted to helping others achieve greatness, and her devotion to others was easy to see. There was no greater gift in her life than her family, and she was filled with unspeakable joy to witness her family tree blossom to include numerous branches of loved ones who made her so very proud. Guided by an unwavering faith, Jane exemplified what it means to be a servant of Christ. Treasured by so many, she will be forever missed. It was great to be an American during the decade that we commonly recall as the Roaring Twenties. With innovation leading the way to new technology, increasing opportunities were available nationwide. Amidst this exciting era was a time of great celebration in the lives of William and Mildred (Coffman) Rankin. They were thrilled to announce the birth of the baby girl they named Mildred Jane on September 16, 1925, in Uniontown, Pennsylvania. Raised in an apartment in Uniontown, she was a young city girl and the only child in her family. Jane, as she was known, exhibited musical talent and a love of people from an early age. Her father was a mechanic and her mother was a buyer for a local department store. Jane’s father played the violin. Her mother played the piano, and it was they who helped her develop her love of music. Family and friends would often gather at their home for music and sing-a-longs. Jane attended local schools where she was engaged in many activities and made friends easily. As a young woman, Jane was the first person in her family to go to college, which made her family very proud. She studied at West Virginia University. 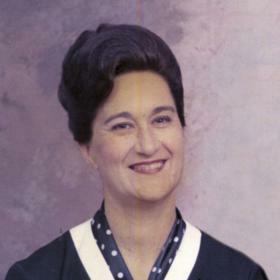 While there, her former high school teacher Dr. Brown encouraged Jane to switch her major to music education, which spurred a lifelong career in the public schools as a vocal music educator. New and exciting changes were in store for Jane when she met the love of her life. 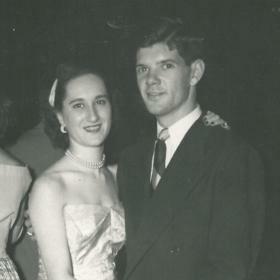 His name was Edgar Lee Thornburg, and they met through the Presbyterian Student Union on campus. They quickly discovered that they both loved music and dancing. At the time they met Ed was planning to continue his studies in seminary to be a Presbyterian minister. Although Jane and Ed desperately wanted to get married, her parents kept putting off the wedding. When he had finally completed seminary and accepted his first call, Ed went to Jane’s parents and told them that they were getting married. After their long engagement, the sweethearts were finally married on June 19, 1950, at First Presbyterian Church in Cumberland, Maryland.  Being a minister’s wife had its own expectations, but Jane did it her way. She stayed out of the limelight, but she also had a gracious way of connecting with the congregation through her warmth and kindness. Together Jane and Ed welcomed two sons, Lee and Scott, into their hearts and home. As a mother, she instilled her love of music in her children. Jane kept them on task with their lessons and had high expectations. She was very supportive of her children in all of their events and activities and was there for them in whatever they needed. Jane was an excellent seamstress, crafting goods including clothes, quilts, and rugs. Later on, she became well known for her lovely handmade teddy bears (all dressed in spectacular handmade outfits) and the beautiful velvet Christmas stockings she sewed for every member of her large, extended family. Jane was so proud of her children and how they both became professional musicians. In addition to their love for music, Jane also taught her sons the importance of a strong work ethic and the support of family. 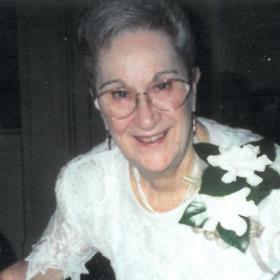 In addition to caring for her own children, Jane was a public school teacher for 32 years. She was a junior high and middle school educator in Pennsylvania, Ohio, and New York. Jane genuinely loved her work and was passionate about teaching music and working with kids. She was regarded as a teacher who not only taught music, but responsibility, respect, common sense, and kindness. 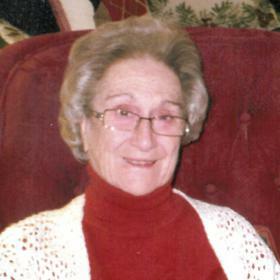 In 1990, Jane retired from teaching and used her impeccable sense of style as a personal shopper and salesperson at Chappell’s, Bon Ton, and the Museum Company in Syracuse. This second career was a great fit for her, highlighting her warm and inviting personality and love for people. In every phase of life, Jane lived to the fullest. 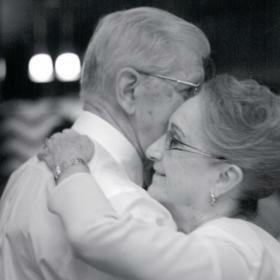 During their retirement years, she and Edgar took many cruises and loved every minute of them. Jane was also a very doting grandmother, known as Nana, and took advantage of every opportunity to spoil her grandchildren. It sure was a special day when Laura Jane was born as she was the first girl in the family. Jane made a point of being very involved in their lives even though they were separated by many miles. When they were together, Jane made sure that each time was a time to remember. In 2014, she and Edgar moved to Kalamazoo to be closer to family. They settled into The Fountains at Bronson Place, and although dementia robbed Jane of some of her verbal skills, her kind smile and proper manners made others truly love her. All who knew Jane Thornburg would agree that she was an extraordinary woman to know and love. Jane was a stylish woman who was always well dressed and put together for any occasion. She was genuinely warm and pleasant toward everyone she met. She was beautiful on the inside and out, and there was nothing she treasured more than being surrounded by the love of her family. Deeply devoted to her husband, children, grandchildren, and great-grandchildren, Jane was an inspiration to those who follow in her footsteps. She will be forever missed. Jane Rankin Thornburg, of Kalamazoo, MI died on Tuesday, December 19, 2017. Jane’s family includes family include her husband, Rev. Edgar Lee Thornburg; her 2 sons: Lee (Cassie) Thornburg of Burbank, CA and Scott (Sue Larsen) Thornburg of Kalamazoo, MI; 3 grandchildren: Laura Jane (Johannes) Stegmann, Lee Thornburg, and Eric Thornburg; and 1 great-grandson, Jude Stegmann. Cremation has taken place. A memorial service will be held at 7:00 PM on Wednesday (Jan 3, 2018) in the Community Room at The Fountains of Bronson Place. A dessert reception will follow. Please visit Jane’s personal web page at www.BetzlerFuneralHome.com, where you can archive a favorite memory or photo and sign her online guestbook. Memorial donations may be made to Hospice Care of SW Michigan or the Northminster Presbyterian Church of North Syracuse. 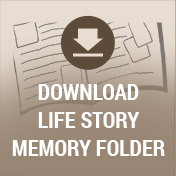 Arrangements by Betzler Life Story Funeral Home, 6080 Stadium Drive; Kalamazoo, MI (269) 375-2900.